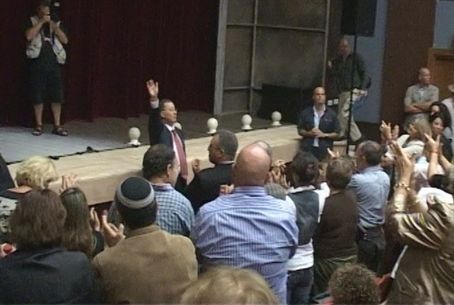 Hundreds of Ariel residents attend opening of new cultural center in the city, despite leftist attempts to stop it. Arutz7 brings you the voices and pictures from the opening of the new Performing Arts Center on Monday evening in Ariel. Hundreds of Ariel's residents attended, wearing smiles and exhibiting joy, in the wake of recent calls by leftist artists to boycott the center. The Be’er Sheva Theatre group performed the play “Piaf,” about the life of the French chanteuse Edith Piaf.